We previously committed to making more of this information freely available. This post answers some further general questions we’re often asked relating to commercial fishing activity in UK and English waters. How can I get a licence to fish by boat in the UK? Your vessel must be registered before you can get a licence. No new fishing vessel licences are created and there are a limited number of licences in circulation. The only way you can get a licence is by transferring an existing one to your vessel. You need a licence entitlement to do this. The MMO does not sell or provide these licence entitlements. Places they may be obtained include via trade media aimed at the commercial fishing industry. More information about fishing vessel licensing is also on our website. Is the MMO aware of the activities of foreign fishing vessels in UK waters? There are areas where EU fishing vessels are currently legally entitled to fish up to 6 nautical miles off the UK coastline, as part of the EU Common Fisheries Policy (CFP). The MMO currently enforces compliance with the CFP in English waters of the Exclusive Economic Zone using a combination of monitoring and surveillance assets. We monitor fishing activity and vessel movements using our satellite vessel monitoring system (VMS). One thing this shows is vessels from other countries within UK waters. It wouldn’t be appropriate for us to comment in detail on any ongoing enforcement operations. Where are the busiest fishing ports in the UK? 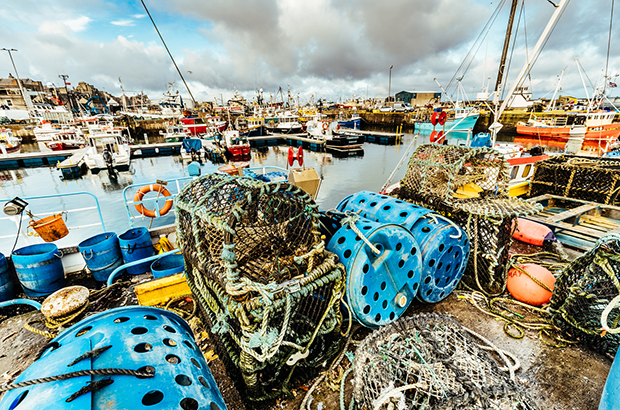 Our annual statistics publication includes a range of information about the commercial fishing industry, including number of vessels and landings of fish into the top ports in the UK. Chapters 2 and 3 of the publication are particularly relevant. In 2016, the last year for which figures are available, Peterhead, Lerwick and Fraserburgh accounted for 49 per cent by quantity and 36 per cent by value of all landings by UK vessels into the UK. Answer to your question not here? Try reading our previous posts for details of how fishing quotas are currently set and more statistics on fishing, including activities by EU vessels in UK waters.